In this hi-tech era, most of the writers or even individuals rely on their gadgets like smart phone, tablets, ipads etc to mindmap their thoughts. These gadgets are your 'wherever-u-go' kindaa partners for sure; but at times circumstances don't allow these to be your saviour. As in my case, being in the noble profession of teaching for so many years and so abiding by all the rules n regulations at my work place, I'm not supposed to use my smart phone during my working hours. Now just imagine, what if those best of the ideas for my stories, characters or blogposts pop into my head while I'm restricted to use my e-gadgets?!! 1. 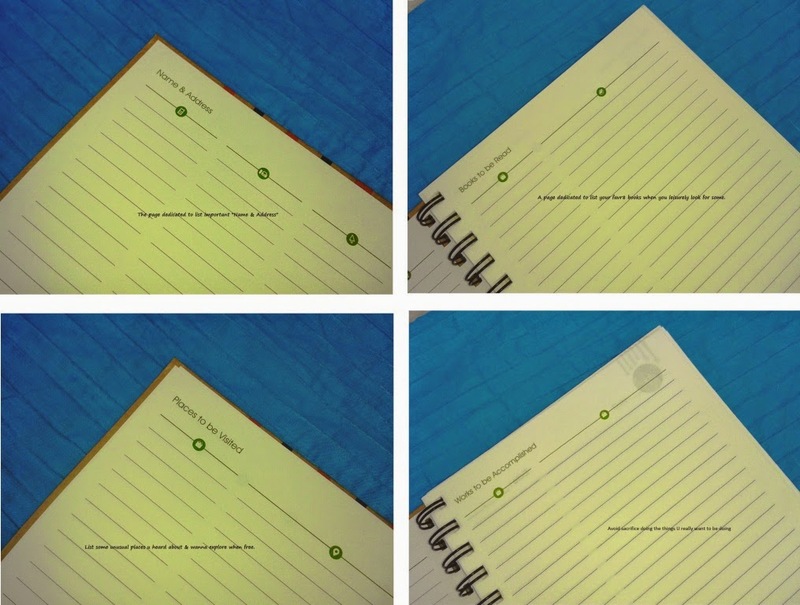 Wire-o-Wire Binding: I felt so comfortable using this notebook because such bound notebooks can easily lay flat or fold into a single page without closing. I could easily write closer towards the horizontal margins without any hassles, due to its 360 degree page rotation. And it doesn't look like designed for kids, but gives me a feel of a polished, professional look as I always adore. 2. Initial Pages For Important Info: The first 4 pages of the notebook are really useful where I may note down important contact details, Names of Books close to my heart that I love to read in my leisurely time, the beautiful unexplored places I always wish to visit and most importantly my 'to-do' list under Works to be Accomplished. 3. Pocket inside the back cover: Now this is something unique that I have never found in any notebooks yet. 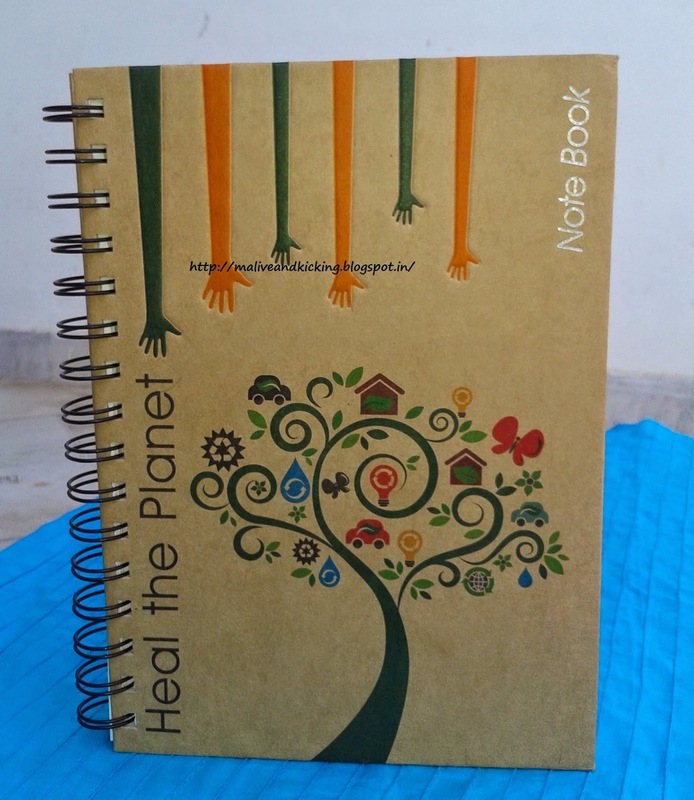 This series of notebooks come with an envelop glued at the inner side of back cover to keep li'l bits-n-pieces of paper holding some specific info. 4. 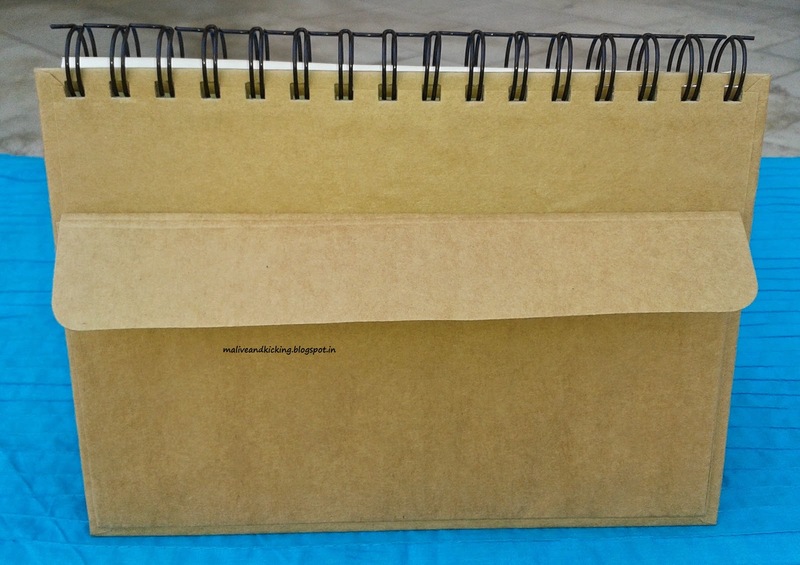 Elastic Band: The notebook's hard cover is very smartly offering the safety closure using an elastic band. 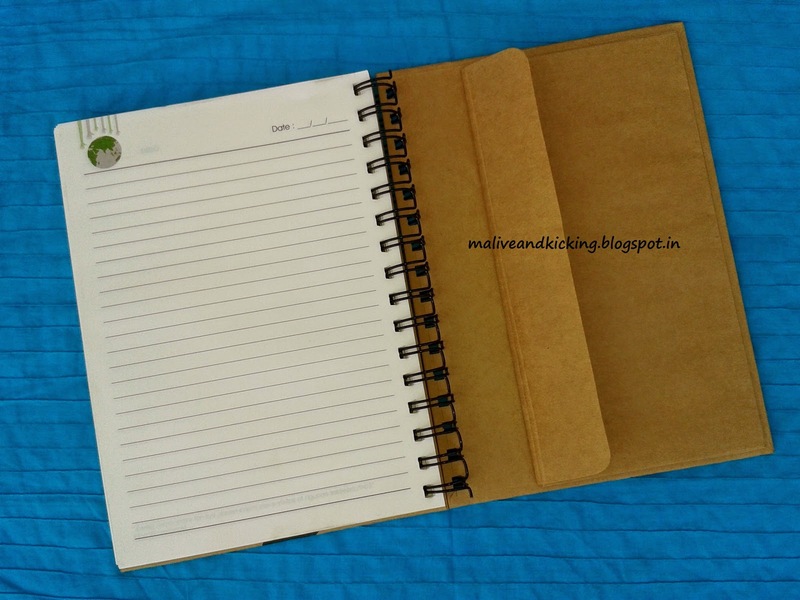 I believe its an added specification to hold the notebook cover closed when I'm not using it and also to save my loose sheets from falling down, if kept inside. 5. 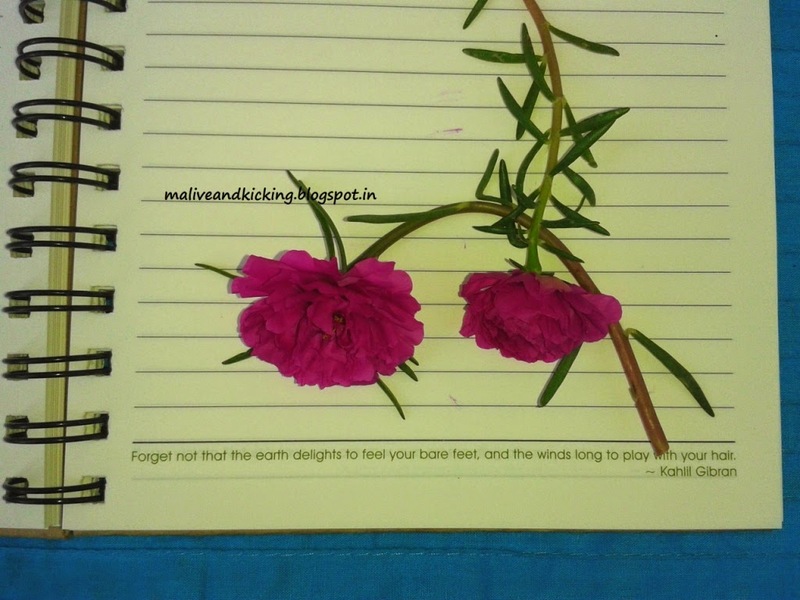 Nature Quotes: I know its not something unusual and we all find it in many diaries etc., but I love reading interesting, meaningful and inspiring quotes. And when such a quote is there to motivate me on every page I flip, its nothing less than a sheer delight to me indeed. 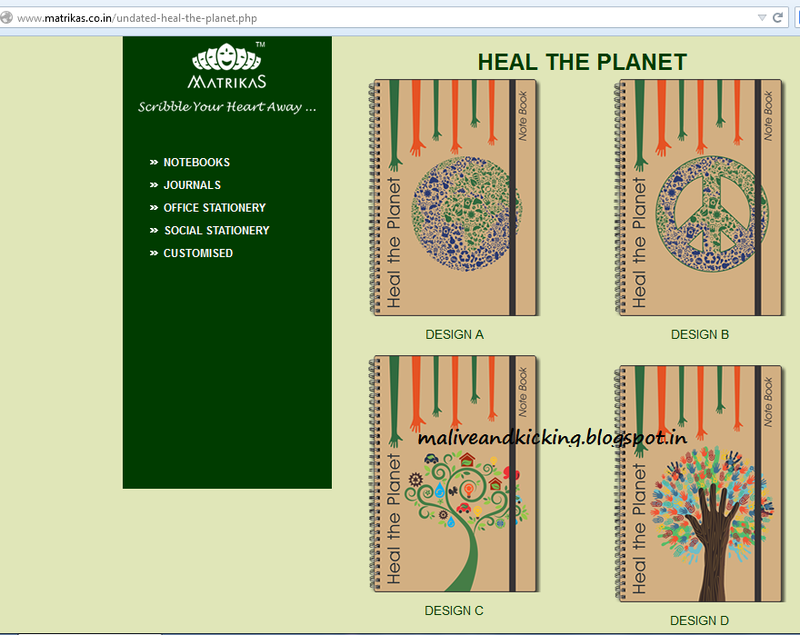 This notebook beautifully presents one refreshing quote on Nature at the bottom of every page on the right spread. The Credit Card Info is not something to be shared publicly, so I feel this column should not be present on the Personal Memoranda page to avoid its misuse. 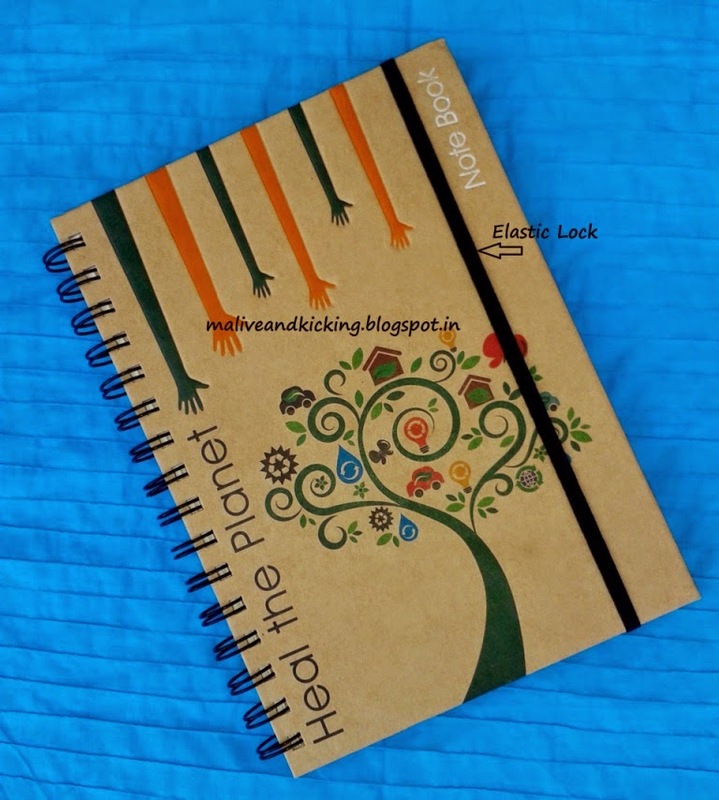 And I also felt the need of a bookmark in the notebook.